*Starting packages are per person based on double occupancy and subject to availability. *Taxes, Resort Fees and gratuities are not included in the starting package price. *Prices will vary based on dates of travel; certain dates may require 2 night minimum. *A $25 surcharge will be added to package total per round booked on the Fountains Course. 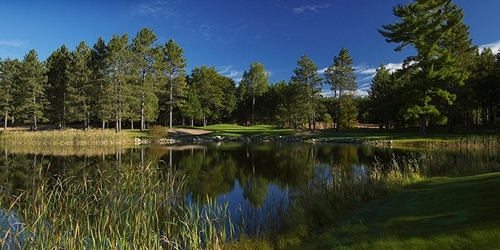 When calling (989) 786-2211, please mention you saw this golf package on GolfMichigan.com. Garland Lodge & Golf Resort reserves the right to change price and offer at anytime. Prices and offer are subject to change without notice. GolfMichigan.com is not responsible for errors posted in this golf package.